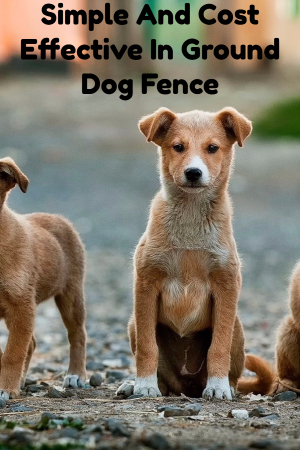 What you need to know about an in ground dog fence. I learned that there are these fence kits that will set boundaries in your yard for your dog without an actual fence. These fences products are secure and safe for the animals as well as for people. My only concern was installing the fence. You need to take about a weekend to install it because you have to bury individual wires into the ground all across the area you want to secure. Once the fence has been installed, you take the flags that come with the kit and set them out where the boundaries are. You then need to work with your dog to train him where the boundaries exist. The dog has to wear a special transmitter collar to figure out where these invisible limits are. It does work on certain breeds but that is where I feel I’d be careful next time buying the fence. Certain breeds understand what the collar does faster than others. I would also set the transmitter to the lowest possible setting because a dog could easily get spooked by a shock. It works for many owners and it works for me, but I don’t think it is right for every yard.